Exclusive to Steal A Deal, these stunning 70cm Easter trees are a beautiful addition to your Easter decorations or Easter party. On/Off switch conveniently situated on the side of the Easter tree base. 60cm 24 Warm LED Lights. Energy saving LED light, soft brightness is not dazzling. 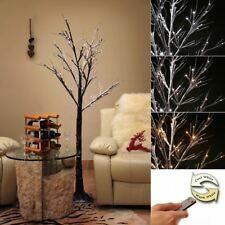 Description This lighted snowy birch-like tree has adjustable branches and sits atop a rectangular base. These lovely trees feature a warm white glow accomplished with a total of 24 LED lights. Use the lighted snowy birch-like tree year-round or with your holiday decor. Features - Color: As shown - Material: PC - Size: 24 x 24 x 60cm - Voltage: 4.5V - Luminous flux: 60 LM - Life: 60000 H - Lifelike Birch Tree light - Cute and chic birch tree appearance makes it perfect for Christmas festival decoration. Those branches are flexible and bendable, so you can personalize your own shape and hang those little ornaments on them. Lowest Price & Premium Quality! Royal Mail 1st Class!! PLASTIC GUTTER HOOKS. IDEAL FOR OUTSIDE LIGHT. Length - 270cm / 2.7m / 9ft. Looks stunning on a fireplace, stair handrail, windows, ceiling and wall swag. 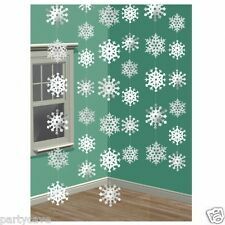 1 White Christmas Garland. Add instant festive cheer and warmth to any room with this quality extra wide wired. 50% OFF! FREE DELIVERY! For Christmas/Party/Wedding! 1 x Curtain String Light. The string lights have 12pcs of string, 300 LED beads in total, bright and beautiful, so you can easily use it to create a romantic and happiness atmosphere. String Quantity: 12pcs.